A former property tycoon is suing the Royal Bank of Scotland over a £1.1 billion loan deal signed at the height of the financial crisis. The case could open the floodgates to a deluge of other legal actions against the state-backed bank. Glenn Maud, who bought Santander’s global headquarters in 2008, has launched his legal action in London’s High Court over a deal signed with RBS and other European banks to purchase the Spanish bank’s Ciudad Financiera complex in Madrid. Maud’s Spanish property vehicle Marme Inversiones agreed a loan arrangement with fixed interest payments. But the deal used the Euribor – the interest rate at which banks lend to each other in euros – which Marme alleges was being manipulated by RBS. 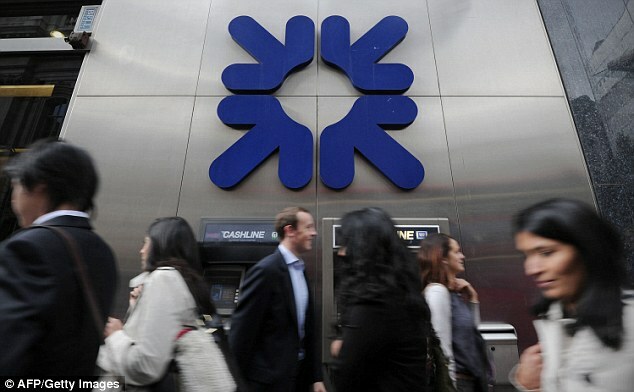 RBS, which is 73 per cent owned by the state, was fined £95 million in December 2013 by the European Commission for its involvement in a cartel which had been unfairly influencing the Euribor rate. Marme is demanding that the contract should be rescinded because it says RBS was interfering with the interest rate. The claim is part of a new wave of civil litigation which is trying to get courts to set aside historic contracts which were based on manipulated rates. In Marme’s case, that would involve RBS returning £110 million in payments already made under the swap and foregoing a further £250 million in payments it is demanding to wind up the contract. RBS, which was the lead bank involved in the deal, is thought to be likely to argue that its settlement with the EC involved no explicit admission that it had manipulated the rate. Marme was placed under Spanish bankruptcy protection measures last year after failing to repay the original £1.1 billion loan it took out. Earlier this year Maud won a case against the Libyan Investment Authority, which allowed him to avoid paying £17.6 million owed to it. The legal decision was made on the basis that the payment would breach sanctions rules.